We are an independent practice based on Devonshire Avenue in the heart of Beeston, Nottingham. Focus is always on providing a truly comprehensive and personal eye-care and eye-wear service that offers patients and clients the reassurance that their eye sight and spectacles are being looked after by qualified Dispensing Opticians, Optometrists (Ophthalmic Opticians) and support staff. 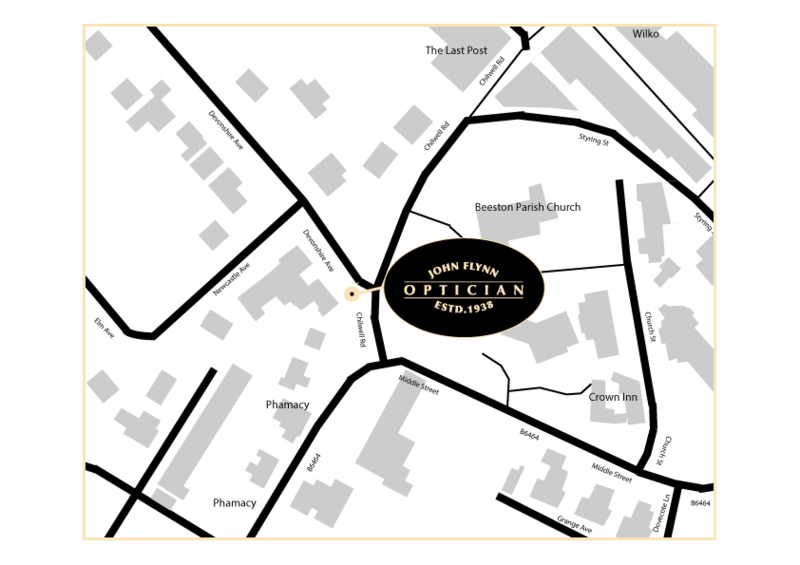 We have been determined on providing a top quality eye-care service in Beeston, Nottingham since 1938. Our aim has been to create a warm and welcoming environment within the traditionally furnished surroundings. In a market dominated by larger optical groups we are a practice dedicated to providing patients with a reassuring, individual service. 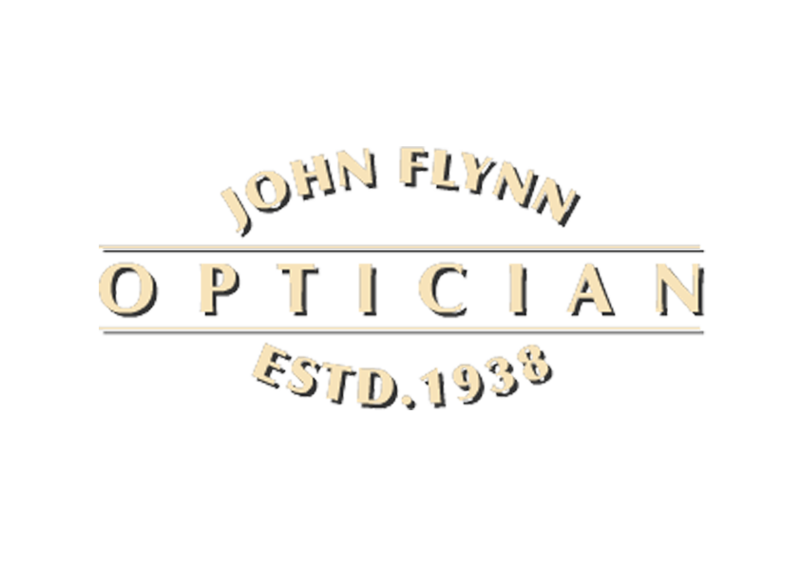 The team at John Flynn are always committed to providing advice on quality, value and service. Professional guidance is provided on eye-care, glasses and contact lenses. Emphasis is always placed on a personal service, correctly fitted frames and accurately dispensed ophthalmic lenses. We offer Private, NHS and enhanced eye examinations with OCT retinal/macular assessment. We also offer a complete contact lens fitting and aftercare service. 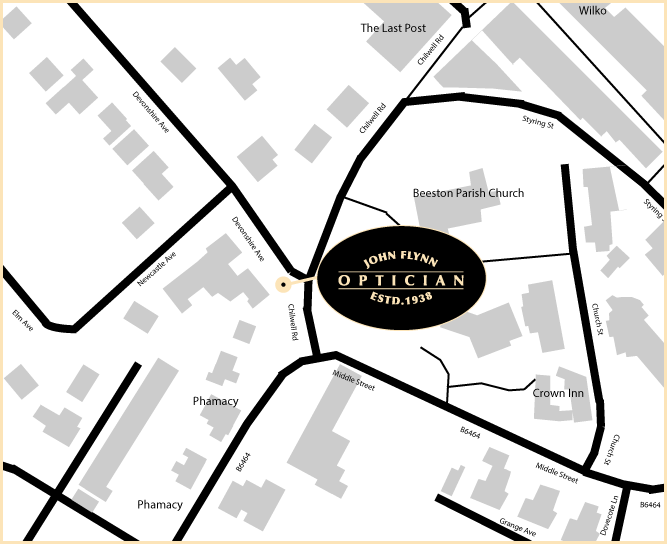 The largest range of quality eyewear in Nottinghamshire can be found at the practice. Quality niche eyewear such as Etnia Barcelona, Polaris and ProDesign is stocked alongside designer ranges from sought after brands such as Ray-Ban, Polo Ralph Lauren and Ted Baker. We also stock frames by Silhouette which are the lightest available especially the famous rimless designs. Silhouette acetate frames are also worn by Her Majesty Queen Elizabeth II. Sports eyewear is an important part of the practice. We also stock sunglasses from Oakley and Maui Jim which offer the best polarised lenses on the market. We always welcome the registration on new patients. The practice is open from 9am-5:30pm Monday to Friday, Saturday from 9am-5pm. YOU ARE HERE: » Why Choose Us?